Have you been wondering if Ezekiel bread and diabetes make a good match? Wonder no more because here we take a closer look at the pros and cons. Unlike most modern breads, Ezekiel bread is not made from flour, which does provide some major advantages over bread made from modern flour. Instead, Ezekiel bread is made through traditional methods that date back thousands of years – this includes a combination of sprouted legumes and grains that typically include wheat, barley, lentils, soybeans, millet, spelt, and sometimes flax. In this ancient way of bread making, grains are soaked in water at a specific temperature until sprouts develop. Once sprouted, the grains are ground up and the contents are baked into bread. A unique feature of Ezekiel bread is that the grains are still considered to be “alive” before they are broken up and used. Because of this, the enzymes in the living grain breaks down some of the carbohydrates and protein contained in the breads, so whoever eats the bread has to do less work to digest it. Despite what some people think, Ezekiel bread is not gluten-free because wheat, barley and rye, are all gluten-containing grains. Though it does contain less gluten than regular wheat bread. Organic Sprouted Wheat, Filtered Water, Organic Sprouted Barley, Organic Sprouted Millet, Organic Malted Barley, Organic Sprouted Lentils, Organic Sprouted Soybeans, Organic Sprouted Spelt, Fresh Yeast, Organic Wheat Gluten, Sea Salt. Compared to the common white and wheat breads that have added sweeteners and artificial flavors, those ingredients look pretty healthy! Ezekiel bread has another advantage over other breads because it is made with organic ingredients and it usually doesn’t contain any added sugars or chemical preservatives. One of the biggest selling points of Ezekiel bread is that it contains complex carbs, not refined carbs. Complex carbs are always a better choices than refined carbs, but with diabetes, this isn’t the only thing to consider when choosing which foods to eat. You also need to consider the overall amount of carbohydrates you’re consuming because this plays a huge role in blood sugar stability. Just how many carbs does Ezekiel bread contain? Fifteen grams of total carbohydrates minus 3g of fiber leaves 12g of net carbohydrate for one slice of bread. If you want a sandwich, multiply that number by two and you get 24g of net carbs for the bread alone, without adding your sandwich fillings. This isn't much different to a piece of white or wheat bread. Without context, 24g of carbs may not seem like much. But our carbs per day recommendation is between 30-50g of net carbs (or 50-80g of total carbs) per day. This seems to be the sweet spot for those managing their diabetes through diet and lifestyle. 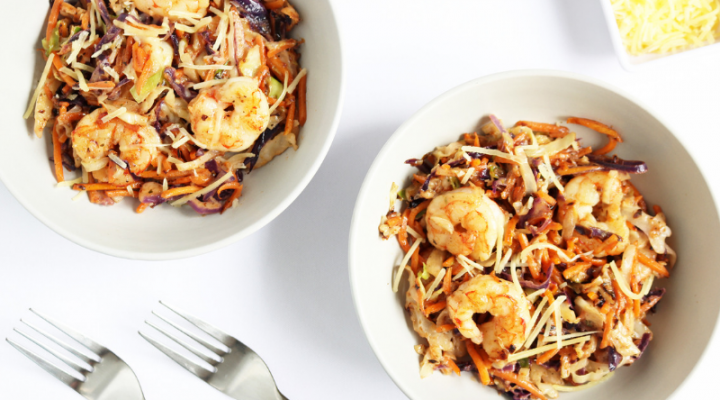 It limits enough carbs to support blood sugar stability but provides plenty of the the right type of carbs to give your body sustained energy, along with enough variety to keep your daily diet interesting. If you were to choose to eat Ezekiel bread, remember one serve is just one slice, and then you would need to choose your toppings carefully to keep your carbs to a minimum. As you may have gathered, sprouted bread is often healthier than other breads because the sprouting process makes nutrients more available. Ezekiel bread may also contain fewer carbs than other types of bread, but this varies from brand to brand. As seen earlier, the Ezekiel bread from the brand Food for Life had 12g of net carbs, while the Ezekiel bread from a different brand (in the chart below) has only 9g of net carbs. 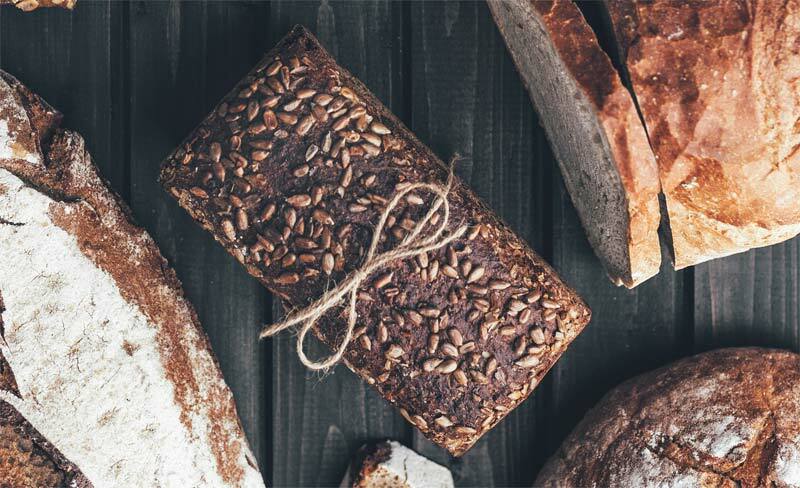 Compared to pumpernickel, sourdough, and white bread, the Ezekiel bread clearly has the fewest carbs and the most fat, both of which contribute to better blood sugar stability. Ezekiel bread has a GI of 36. Pumpernickel has a GI of 41-46. Sourdough wheat bread has a GI of 54. White bread has a GI of 85. Glycemic index is a measurement of how high your blood sugar may rise after eating a certain food, with zero being the least and 100 being the greatest. As a diabetic, foods with a lower GI (55 and under) are going to be better options. But… just keep in mind: when it comes to achieving lower blood sugar and A1c levels, GI isn’t everything. You should still consider the total amount of carbohydrates you’re consuming. Considering all the factors helps you make a more informed decision. Research on diabetes prevention has shown that the consumption of high fiber whole grains is associated with a slightly lower risk for developing chronic diseases like type 2 diabetes. Many studies in the past decade support this conclusion. But we're talking about PREVENTION! Things tend to get turned upside down when it comes to research regarding the treatment of existing diabetes. To put it plainly: there is no evidence that shows eating whole grains improves blood glucose control. For example, a 2015 study compared the effects of both a paleo diet and a diet based off guidelines from the American Diabetes Association (ADA) on a group of people with type 2 diabetes. The paleo diet included lean meat, fruits, vegetables and nuts, and excluded salt, dairy products, grains and legumes. The ADA diet included cereal grains, legumes, low-fat dairy products, and moderate salt intake in addition to the foods included on the paleo diet. After 14 days of dieting the researchers found that while both diets resulted in some improvements, the paleo diet produced greater improvements in glucose control and lipid profiles. The paleo diet also improved insulin sensitivity among the most insulin-resistant diabetics in the study, while the ADA diet did not have this effect. The ADA's 2017 Standards of Medical Care in Diabetes, state that: “whole-grain consumption is not associated with improvements in glycemic control in type 2 diabetes.” Or in other words, it doesn't help you regulate blood sugar and A1c – that's what the research clearly shows. 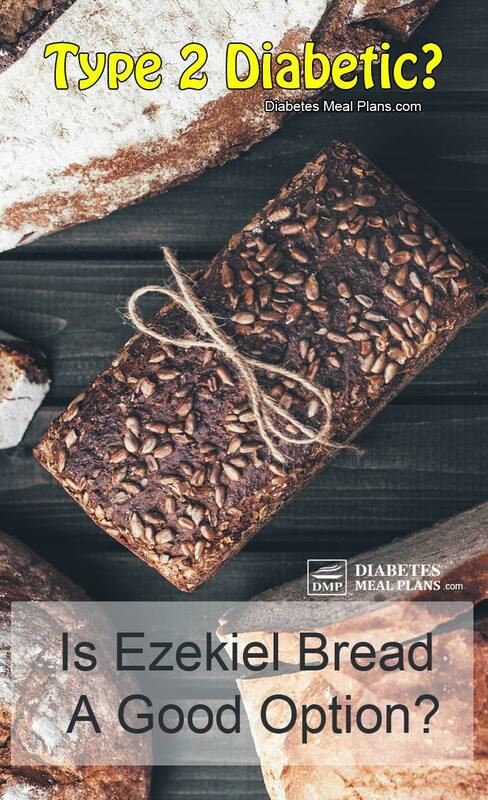 When it comes to sprouted grains like Ezekiel bread, specifically, a 2012 study found that sprouted-grain bread produced the lowest blood glucose response among several of the breads tested. However, it also produced a greater insulin response at the 30 min mark post-meal than other breads did, including white bread and sourdough. Here's the thing… whole grains are definitely a better choice of food compared to white/ refined grains. 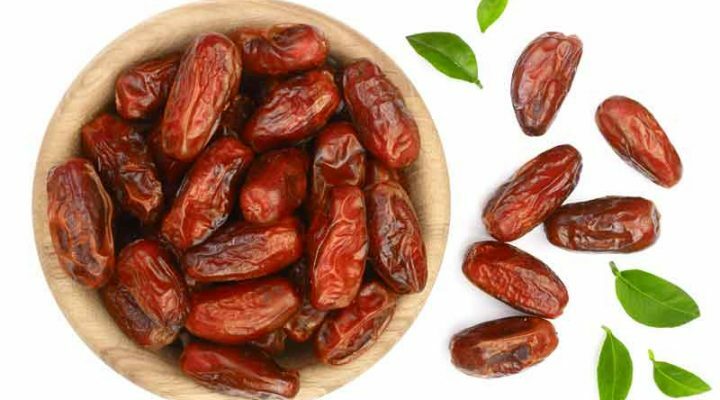 They are a complex carbohydrate, they contain more fiber, they fill you up for longer, they are often lower glycemic index, and they are “generally” a healthier food. But overall the research is clear: they do not help with diabetes TREATMENT – prevention for the general population, yes. But treatment, no. What does this all boil down to? 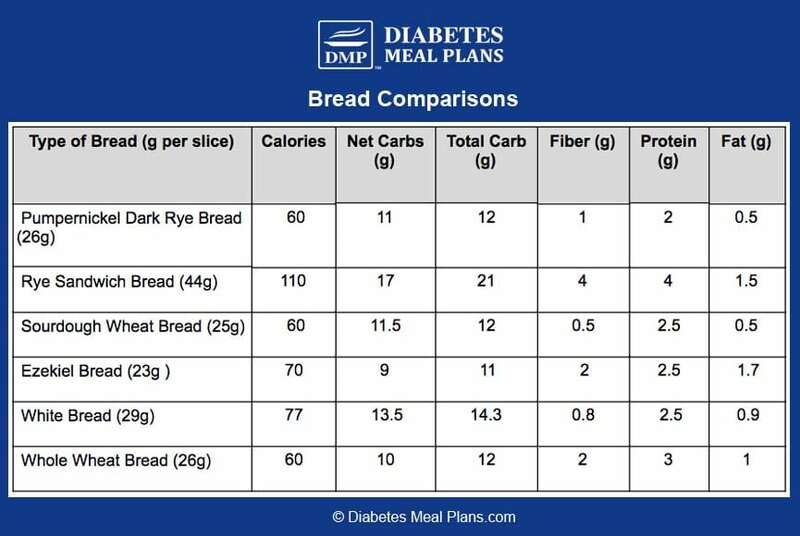 In summary, Ezekiel bread may be marketed as “diabetes friendly” but overall it doesn’t really deserve that title. Sure, bread made from sprouted grains may be healthier than your basic white or wheat bread, that goes without saying for every product. And in terms of ingredients, this bread is definitely a better option. But just keep in mind that even a ‘healthier' high-carb food is still high carb. And overall, Ezekiel bread is not much different in carb content to many other ‘normal' breads. The saving grace of Ezekiel bread is it's lower glycemic index, which can have a lower impact on some people's blood sugar levels, but not all. 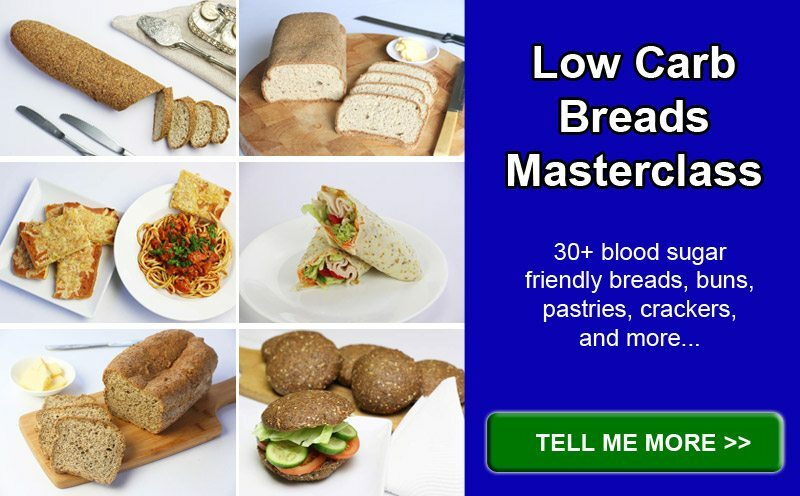 Many people still find this bread impacts their blood sugar levels too much. If you do choose to eat it, stick to one slice per serve. 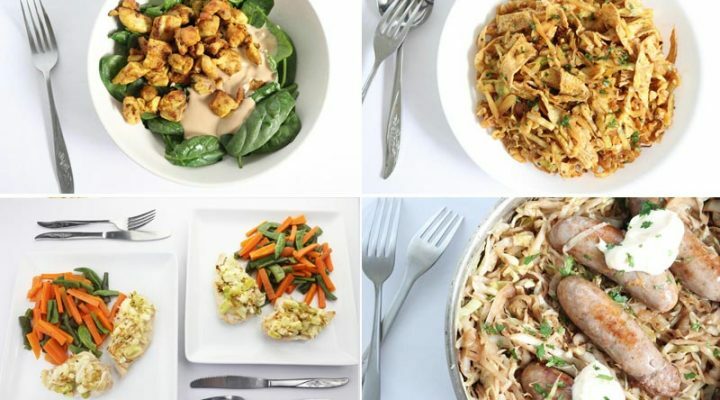 Since diets that limit carbs have been shown to stabilize blood sugar, lower A1C levels, and support healthy weight loss – low carb living is what we’re all about here at DMP! Generally that means eliminating bread from your diet, or choosing lower carb breads. And in the end, only your meter can be the judge – use your meter to determine how different foods affect your individual levels. Do you eat Ezekiel bread? How does that work for you? I am wondering why I have gained weight over the past 3months on my abdomen. I am following your recipes and am walking every day. I have no idea what is happening? Hi Melita – I did reply to your comment in the members area. It may seem diet related but weight gain can be due to numerous factors including diet, exercise, hormones, sleep quality. In terms of diet, try keeping a food diary because you may identify that you’re eating more than you need to or perhaps one type of food too frequently that you may be intolerant to and could swap out for something else. 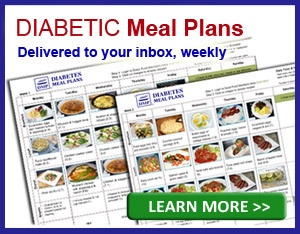 Check out this article about the best breads for diabetics!